Orienteering offers many benefits, but its real attraction is that it is fun! An attack point is the closest feature to the control that you know you can find and from which you can then find the harder-to-locate control. There is no doubt that good route selection and proper execution of the five techniques along your route are keys to success in orienteering. Place a thumb on the map and glance at the area above the thumb for 1 to 3 seconds. Discovering Orienteering offers a systematic approach to learning, teaching, and coaching orienteering. Readers learn a handful of easy-to-remember skills, techniques, and processes that are reinforced through more than 60 ready-to-use activities. Presented in a lesson plan format, these activities assist educators in applying the benefits of orienteering across the curriculum. Engaging the mind and toning the body, orienteering offers a mind–body workout that builds confidence, problem-solving skills, and an appreciation for the natural environment. Written in an engaging manner, Discovering Orienteering: Skills, Techniques, and Activities offers a systematic approach to learning, teaching, and coaching orienteering. Discovering Orienteering presents the basic skills and techniques of the sport for beginners. It also functions as a review for advanced orienteers, featuring stories of orienteering experiences to illustrate the fun, challenge, and adventure of the sport. An excellent resource for physical educators, recreation and youth leaders, and orienteering coaches, Discovering Orienteering distills the sport into teachable components relating to various academic disciplines, provides an array of learning activities, and includes an introduction to physical training and activities for coaching beginning to intermediate orienteers. Guidelines take eager beginners beyond the basics and prepare them to participate in orienteering events. More than 60 ready-to-use activities assist educators in applying the benefits of orienteering across the curriculum. Developed in conjunction with Orienteering USA (OUSA), Discovering Orienteering addresses the methods, techniques, and types of orienteering commonly found throughout the United States and Canada. Authors Charles Ferguson and Robert Turbyfill are experienced orienteers with expertise as trainers and elite competitors. Ferguson and Turbyfill also have backgrounds in education with a variety of teaching experiences, lending to the book’s utility as a resource for introducing orienteering in a physical education or youth recreation setting. Discovering Orienteering begins by explaining the basics of orienteering, including a brief history of the sport followed by information on fitness, nutrition, safety, and tools and equipment. After this introduction, readers learn orienteering skills, techniques, and processes using the OUSA’s systematic teaching and coaching methodology. Next, readers learn how to apply these skills, techniques, and processes to an event situation. Orienteering ethics and rules are discussed, including the ethical use of special equipment. Information is also included to help readers prepare for and compete in an orienteering event. Activities in the appendix are presented in a concise lesson plan format indicating the skills or techniques covered in the activity, level of expertise required, and equipment needed. 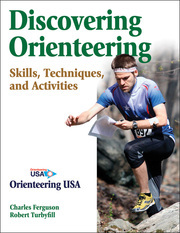 Discovering Orienteering: Skills, Techniques, and Activities offers an excellent introduction to the sport for beginniners and a comprehensive resource for educators, youth leaders, and coaches. With its systematic approach, Discovering Orienteering can help readers chart a course to fun and adventure in the great outdoors. Resource for physical education teachers, classroom teachers, and recreation and youth leaders who teach the sport of orienteering. Reference for outdoor leaders and park rangers, search and rescue professionals, scout leaders, and personnel in ROTC, JROTC, and military. Founded in 1971, Orienteering USA is a volunteer-run organization dedicated to promoting orienteering as a viable and attractive recreation choice for outdoor enthusiasts; increasing awareness of orienteering as a tool for education, personal development, and environmental awareness; and improving the competitive performance of U.S. orienteering athletes to world-class levels. Charles Ferguson, PhD, served as president of the United States Orienteering Federation (USOF) from 1999 to 2007. A former colonel in the Air Force Reserve, he became the initial vice president of academic affairs at Marine Corps University at Quantico Marine Base, Virginia, until retiring. A member of the U.S. CIOR team and an expert orienteer, Colonel Ferguson represented the United States as a competitor in eight competitions. In 1977, he led his team to the first U.S. win in the over-35 (veteran) category in the CIOR military competitions in the United Kingdom. His team again won the over-35 category in 1982 in the United States. Colonel Ferguson later served as orienteering coach for the U.S. CIOR team for 2 years and with his wife, Linda, as orienteering coach for the Canadian CIOR team for 3 years. Canadian teams finished 11th in orienteering their first year, in the top 10 the next year, and in first place their third year. He also served for 13 years on the NATO CIOR competition commission, leading the rewriting of the orienteering rules of the competition. At the summer military competitions, he was elected to the CIOR orienteering technical jury for 5 years, serving as chair for 3. Along with Coach Turbyfill, he teaches the beginning orienteering course, Zero to Orange in Three Days, and he holds OUSA Olympic level I and level II orienteering coaching certificates. A frequent orienteering competitor in the United States, he placed second in his age group in the 2007 U.S. individual championships. Dr. Ferguson currently serves in USOF as a director of the OUSA Endowment Fund (EF) and EF liaison to the OUSA board of directors. He is also a member of the executive board of the Adventuresports Institute. LTC Robert Turbyfill works as an analyst for the Department of Homeland Security in Washington, DC. He has served as a United States Marine officer for 11 years and as an Army National Guard officer for 14 years. He is a former all-Marine, interservice, United States, and North American orienteering champion. He has represented the United States 11 times at world-class competition (8 times as a competitor and 3 times as the coach of the U.S. orienteering team). A graduate and faculty member of the Marine Corps Physical Fitness Academy, he coached the 1977 and 1978 CIOR navigation event. The U.S. CIOR team won that event for the first time in CIOR history. In Army ROTC he has coached the Brigham Young University (BYU) ranger challenge team for four seasons to national titles. His record was third, first, third, and first in the nation by comparative score at the Fourth Army ROTC Region at Fort Louis, Washington. As a team consultant, he is coaching and teaching orienteering to the USMA orienteering club cadets at West Point. He is the current coaching certifier for Orienteering USA. He teaches a college-level orienteering course and an Olympic level 1 coaching course at West Point in conjunction with thee Adventuresports Institute at Garrett College in western Maryland. He has developed navigation certification standards approved by the OUSA board of directors in November of 2006. "Build your orienteering skills quickly using Ferguson and Turbyfill’s system, which is sequential, logical, and thorough. Using Discovering Orienteering: Skills, Techniques, and Activities, you’ll be ready to head off trail in a matter of days with confidence and enthusiasm." "I have taught the National Park Service's Basic Search and Rescue course with Chuck Ferguson. I highly recommend Discovering Orienteering for improving land navigation skills, whether you are in search and rescue or the military; or you are a park ranger, hiker, or bird watcher; or you just love the outdoors and want to get into the middle of it." "Using these precepts, Coach Ferguson had our team of inexperienced orienteers soaring in an international NATO military competition in Denmark, capturing a long-sought-after first-place novice win. I have long used these skills and techniques in teaching Navy SEALs, so I endorse them fully." "This book provides a great baseline for anyone learning how to navigate and is an excellent complement to current military instruction. Using direct language and often hilarious anecdotes, Chuck has pared down land navigation to its essence, making an outstanding supplement for both beginning students and seasoned operators."